In late August, I spent an afternoon with Barbara Gross of Cooper Mountain Vineyards, a small family-owned winery just outside of Portland. 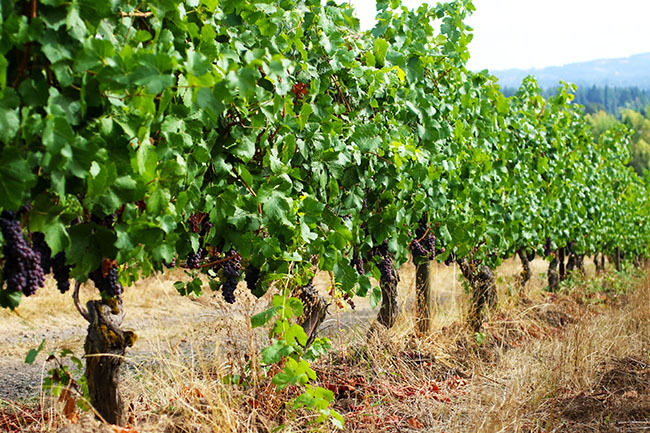 Barbara’s parents started the company in 1978 with a few Pinot Noir and Chardonnay vines, and today Cooper Mountain Vineyards farms over 100 acres and produces 5 varietals (wines made primarily from one specific type of grape, like a Merlot or a Chardonnay) from their organically-grown, biodynamically-farmed vines. 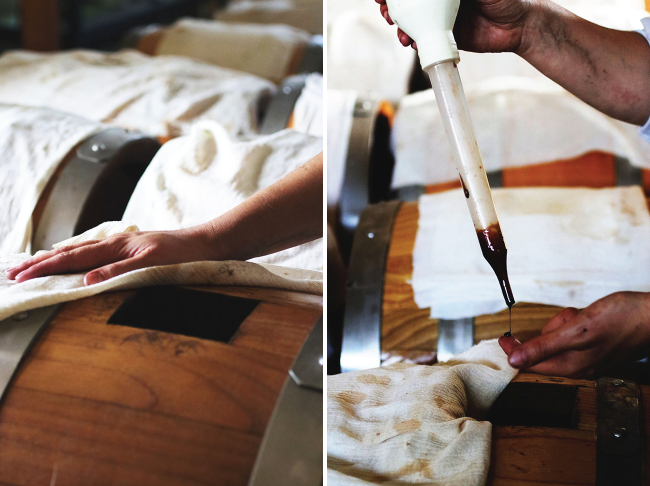 They also use limited quantities of their biodynamic grape harvest to produce Barrel Aged Balsamic Vinegar on-site. 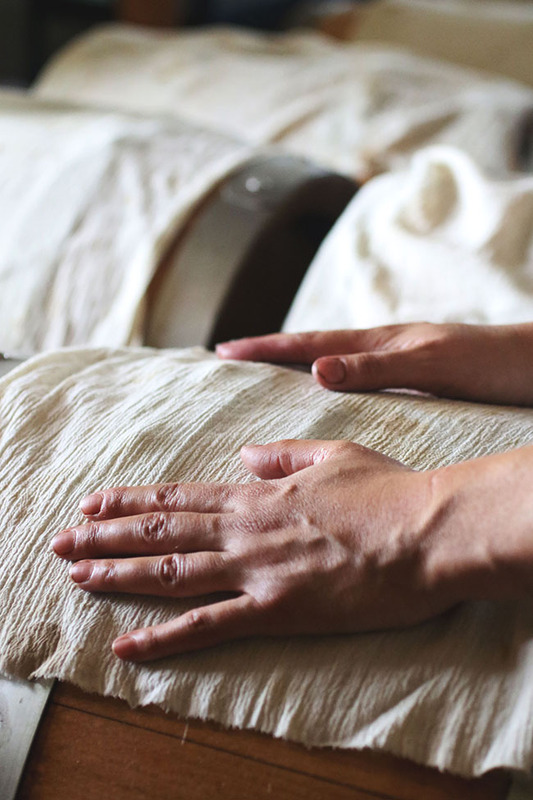 Biodynamic agriculture is fascinating – it’s rooted in ideas from 18th century philosopher Rudolph Steiner, and the basic premise is to look at the farm as a whole, closed circuit. The farm, Barbara explained as we walked through the vineyard, is its own ecosystem. What you do to one element – the soil, for example – affects all of the other pieces. 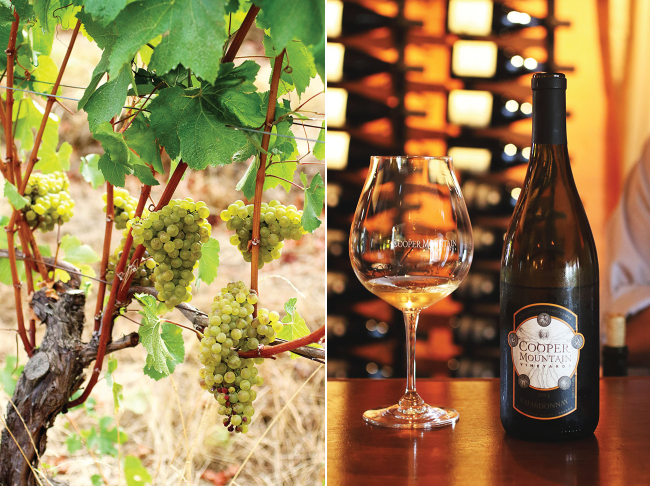 At Cooper Mountain Vineyards, they make farm decisions based on what will benefit the entire vineyard ecosystem – and as a result, they’ve seen success in managing their vines with holistic, homeopathic methods (rather than pesticide use). In encouraging the farmer to make her farm completely self-sufficient, biodynamic agriculture also places great emphasis on sustainable practices. 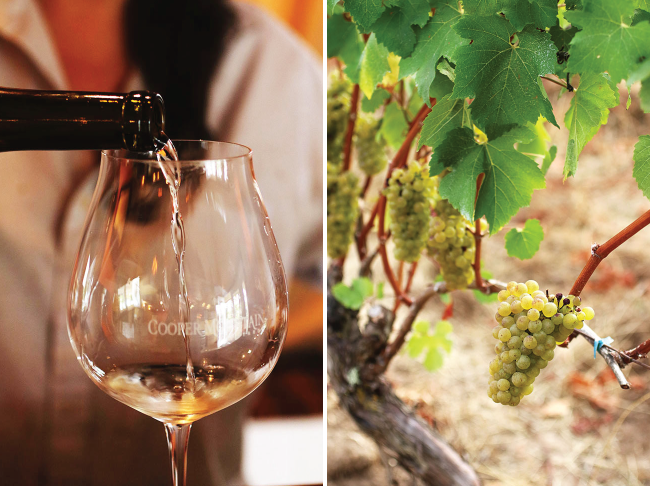 (PS – If you ever want to hear a really beautiful explanation of biodynamic farming, stop into the Cooper Mountain Vineyards Tasting Room and ask them to tell you their story. You can also learn more about biodynamic farm practices here or here). 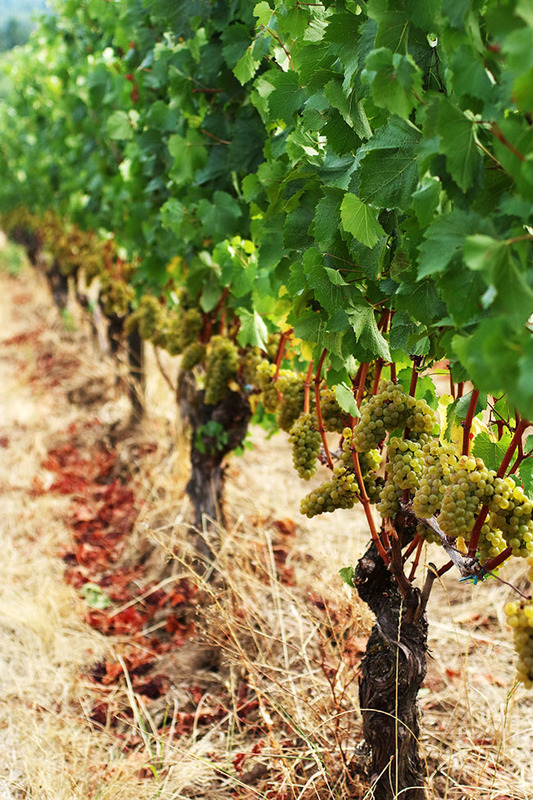 Despite the allure of biodynamic farming, it’s not what you might call “widespread” – only a handful of wineries in the region practice it. But Barbara and the Cooper Mountain team believe a natural, organic approach is well worth it (and their wine speaks for itself). 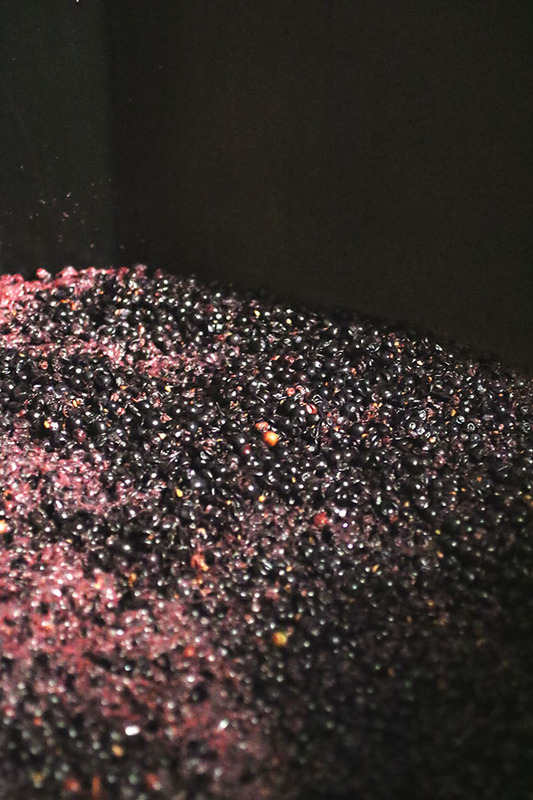 Freshly picked grapes fermenting away at the Cooper Mountain on-site winemaking facility. 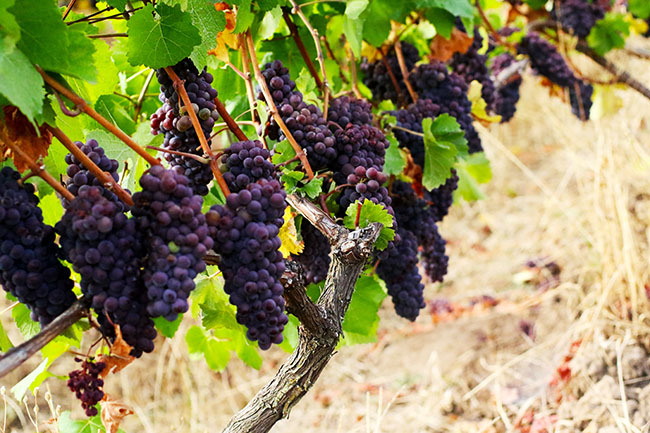 Too much or too little rain, weather fluctuations, and a variety of other issues can all have a severe impact on the quality of the season’s grapes. 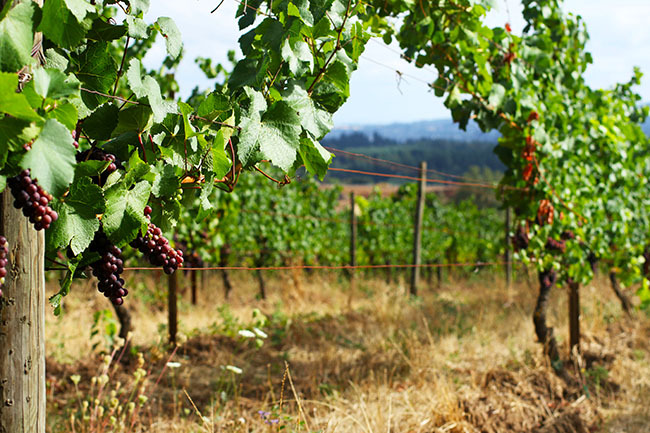 Oregon vineyards are known for Pinot Noir, but pinot grapes are particularly susceptible to weather (and bad grapes can’t be fixed in the production process), so the winemakers tend to be much more concerned with quality than they are with quantity. This quality control is very scientific. At Cooper Mountain, they test their grapes daily to measure sugar content and pH (acidity) levels. When the readings are just right, the grapes are ready for harvest. 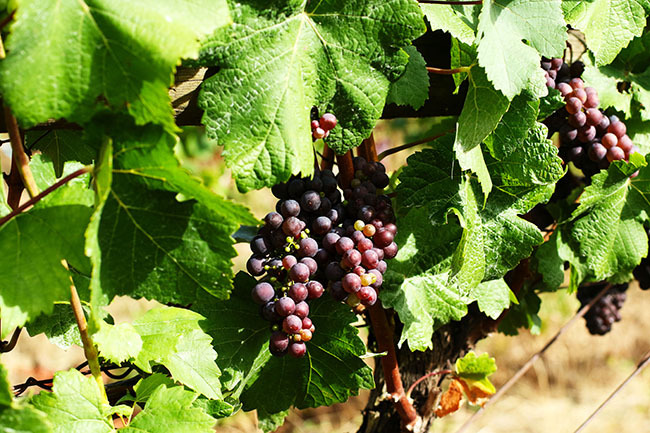 And when the grapes are ready, you pick them – no matter how early in the year it is. 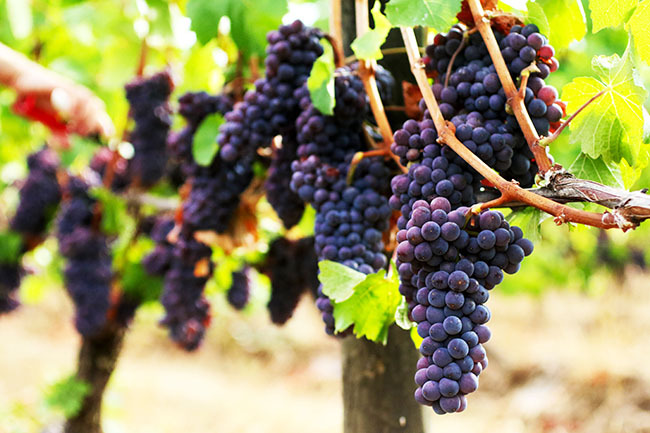 The flavor of a grape depends on a few different factors. 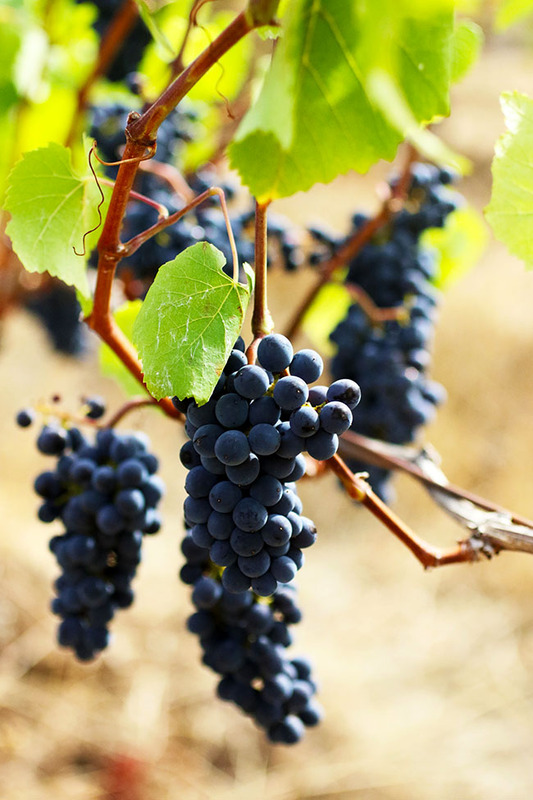 Much of the grapes’ flavor is actually created by stressing the vines. More stress, said Barbara, pushes more nutrients into the grapes (this is one of the reasons why vineyards are generally on hillsides where the water runs down and away from the roots). The “magic” piece, though, is the grape’s skin. The longer they can let those grapes hang, Barbara told me, the more flavor the skins will develop. 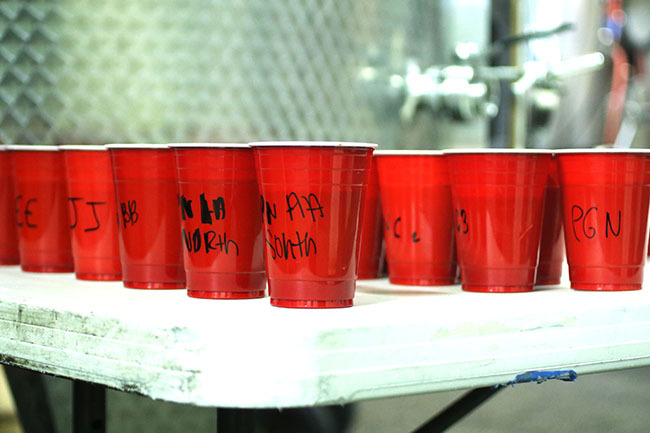 Each cup was filled with juice from vineyard grapes, and each was labeled with the exact part of the vineyard those grapes came from. 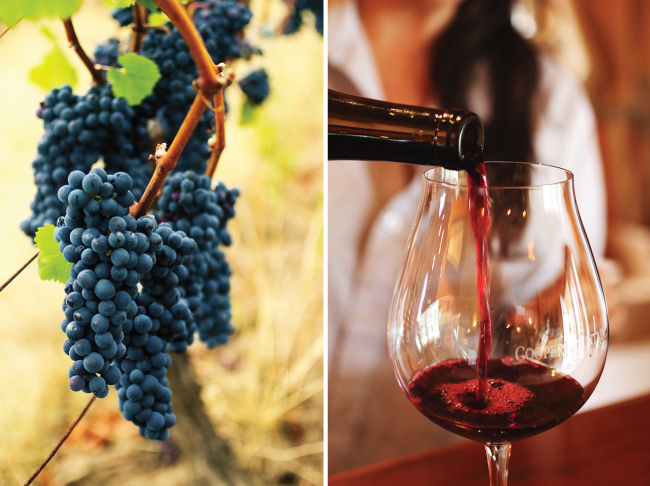 Barbara poured me a taste of grape juice from two different plots on the same hillside – within feet of each other, she told me as she looked at the labels – and they tasted completely different. One was rich and sweet, the other lighter and much more tart. If I hadn’t been standing there staring at those labels myself, I wouldn’t have believed those grapes were from the same vineyard. 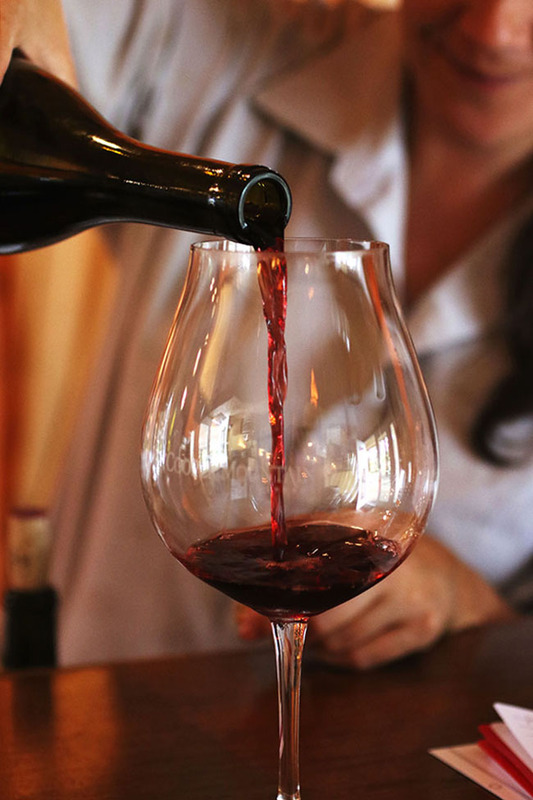 It’s amazing what a difference a few feet (or a little bit of moisture, or a tiny change in temperature, or a difference in soil) can make – and it’s incredible how talented winemakers manage to blend such different flavors into wine that’s so cohesive and consistent. A huge thank you to Barbara at Cooper Mountain Vineyards for showing me around your vineyards and for supporting sustainable food systems! 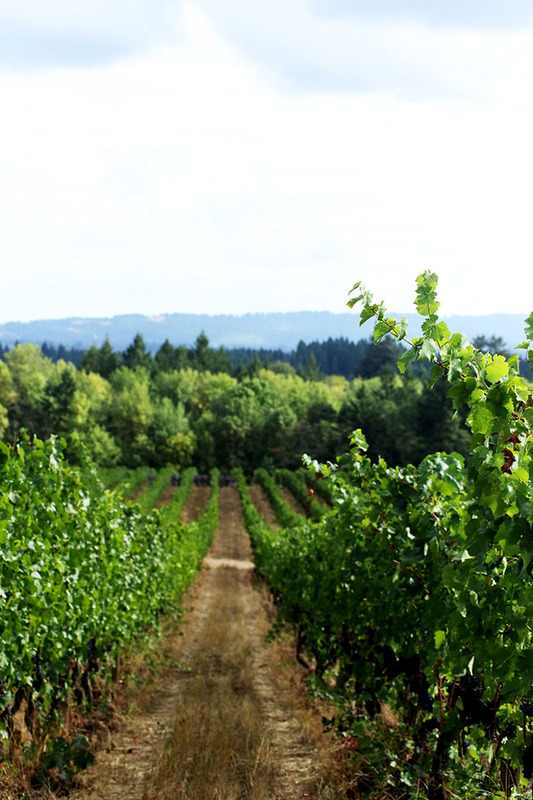 If you’re interested in trying some of Cooper Mountain Vineyards’ biodynamic wines for yourself, you can find them at select Whole Foods or click here to order directly through their website.